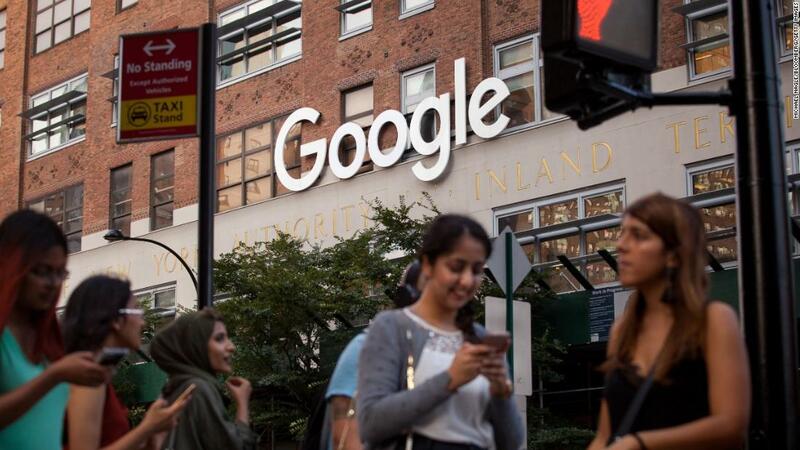 San Francisco (CNN Business) Google said on Tuesday it will require temporary and contracted workers receive full benefits from companies it works with in the coming years. In order to continue doing business with Google (GOOG), companies will have until January 2020 to meetthe minimum wage requirement and until 2022 to roll out comprehensive health care. The policy change, which was first reported by The Hill, will affect Google’s extended US workforce, which includes vendors who work for companies that are contracted by Google, independent contractors, and temporary staff. The move comes after months of protests from Google’s “shadow workforce” of temporary workers, vendors and contractors who saythey are treated unfairly. These workers have challenged their working conditions and Google’s ethics. “Providing tens of thousands of workers with family-supporting benefits, healthcare coverage, parental leave and a $15 minimum wage is a huge win for the thousands of janitors, food service workers, shuttle bus drivers and other contract workers who organized protests, petitions and walkouts over past few years,” Maria Noel Fernandez, campaign director for advocacy group Silicon Valley Rising, told CNN Business in a statement. In December, temporary workers wrote an open letter to Google CEO Sundar Pichai, calling out what they believe is the unfair treatment they receive compared with regular employees.